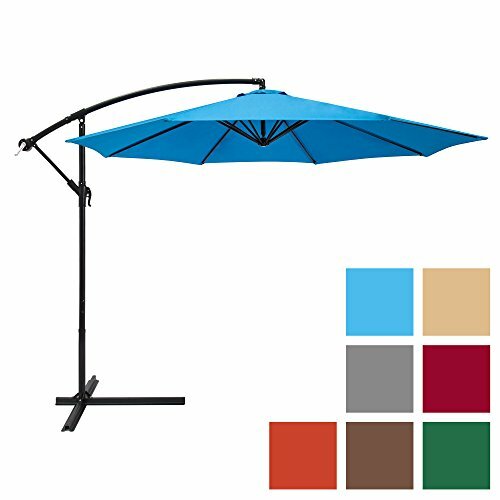 This umbrella is perfect for any outdoor area, patio, or backyard. It provides much needed shade on the bright and sunny days in which you just wish to lounge around. With this umbrella, you can enjoy a cooler environment while adding style to your outdoor area. Featuring a heavy-duty polyester fabric specifically designed for durability, this offset umbrella is sure to keep you shaded for years to come. View More In Umbrellas & Shade.